There is a great romantic attraction to bookstores. Or at least there is for me. I still love browsing bookstores – even the big ones – but have a special place in my heart for the quaint independent ones. The romance and aesthetic of the bookstore is captures beautifully in the paintings of illustrator Gibbs M. Smith in Books & Mortar. 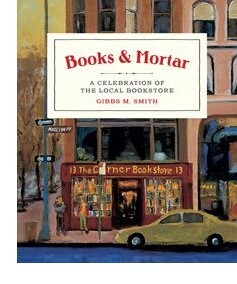 Books & Mortar by Gibbs M. Smith is available (ironically) from Amazon and (thankfully still) from independent booksellers everywhere.